Welcome to the eighth installment of our Journey to Biblical Counseling interviews with various pastors, teachers, trainers, authors, and leaders in the biblical counseling movement. What led them to biblical counseling? What were some of the influences the Lord used in their journey? These are just a few of the questions they answer. Our guest today is Dr. Steve Viars. Steve has served as a pastor and biblical counselor for twenty-five years at Faith Church and Faith Biblical Counseling Ministries in Lafayette, Indiana. He serves on several boards, including Vision of Hope, a faith-based residential treatment center for at-risk girls, the Association of Certified Biblical Counselors (ACBC), and the American Red Cross. He is a frequent speaker at conferences, colleges, and seminaries in the United States and abroad. Steve serves as the President of the Board of Directors for the Biblical Counseling Coalition. He and his wife, Kris, have three children, Bethany, Karis, and Andrew. Steve, what is your current involvement in biblical counseling? I’m a local church pastor. That is what I am most passionate about. From the perspective of Faith Church we are very interested in community-based faith ministry. We have a counseling center that is open to people in our community every Monday. There are twenty-four of us who serve in that way as counselors. Then we use counseling in all sorts of other endeavors; it’s really part of our church’s DNA. There is not a ministry in our church that is not influenced by the principles of progressive sanctification and the sufficiency of the Scriptures. Those doctrines form and frame our community-based outreach. So, we are always looking for ways to bring counseling principles to bear in the public square. It’s a very important part of all that we do. In 50 words or less, how do you define biblical counseling? Biblical counseling is the process of the church helping people change in a way that is Christ-centered, gospel-saturated, and biblically-based. How does your definition, today, differ from your thinking 5 or 10 years ago? Well, perhaps many of us are trying to place more emphasis on changing people from the perspective of the heart, changing in a way that really interacts with the nuances of the gospel, and changing in a way that is not merely principle-based, but Christ-centered. I certainly am not saying that I never believed those things, or that other people in the movement never did either. However, the more men and women involved in the movement study their Bibles and apply God’s Word to their own lives and experience personal growth those emphases are now getting more attention. What people, circumstances, influences, etc. did the Holy Spirit use to move you from your former thoughts to your current convictions? The person the Lord used the most in my life to form biblical counseling convictions was Bill Goode. He was the former pastor of Faith Baptist Church of Lafayette, Indiana. He hired me to be his associate with a plan to have an orderly leadership transition. So, I worked with Bill for a period of eight years as his associate. Then one night our church took two votes; one to make me the Senior Pastor and, two, to bring Pastor Goode on staff as my associate. Two years later, he unexpectedly went to be with the Lord. There is absolutely no question that the Lord used him mightily as we grew in our spiritual walks together. Bob Smith, a medical doctor, was also a huge influence and continues to be as he is a big part of our church’s counseling ministry. He is such a faithful servant! Randy Patten, who is finishing up his tenure as the Executive Director of NANC, is also a very close friend. Also, the men I studied under, and with, as I worked on my Doctor of Ministry at Westminster Theological Seminary: David Powlison, Ed Welch, and Paul Tripp. 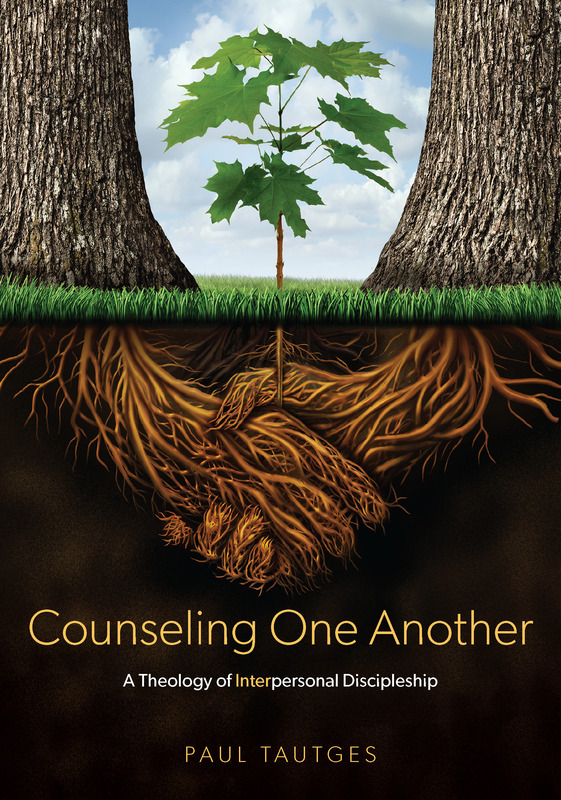 I’ve also made so many friends in the biblical counseling world who continue to sharpen me such as Bob Kellemen, Elyse Fitzpatrick, Brad Bigney, Garrett Higbee, John Henderson, Deepak Reju, and many others. The list just goes on and on. These friends are an ongoing source of blessing to me. Is biblical counseling for every believer and every church? Why or why not? If you had the power to immediately change one thing in the ‘Biblical Counseling Movement,’ what would it be? I would like to see us as leaders, and our ministries, work together and build stronger personal relationships. That’s where the Biblical Counseling Coalition fits into my heartbeat. Historically, there has been a bit of an “I’m the only one doing it right” attitude in the counseling world. That is true of any Christian group, potentially. I think we are seeing more desire to work together now, but that needs to continue. However, I am very thankful for the serious work being done right now on that issue. If someone wants to be equipped to better serve the Lord through the ministry of counseling what do you suggest should be their first few steps? Look for the opportunity to attend as many different training events as possible. I recommend the annual conferences of ACBC and CCEF. There are also all sorts of regional biblical counseling training events. That is one of the more exciting things happening in the BC world. There are more and more people offering training in a variety of different packages. I also recommend reading great resources such as those highlighted on the BCC’s website. This is a great day for resources in the movement because of the growing number of authors. Then there is also the possibility of enrolling in one of the master’s or doctor’s degree programs offered by many different schools. Figure out where you want to go and then decide on the logical academic steps to get there. Steve, do you have anything else to share with the readers of this blog? In many ways it is a new day for the biblical counseling movement. There are more and more people who are proactively seeking to build relationships and respecting the work of others and I am thrilled to be part of what the Lord is doing. Thank you so much, Steve, for sharing your journey to biblical counseling with us.